All natural – Fabulous slice of Blue Lace Agate with golden quartz top – reminds one of a sandy beach and ocean waves. 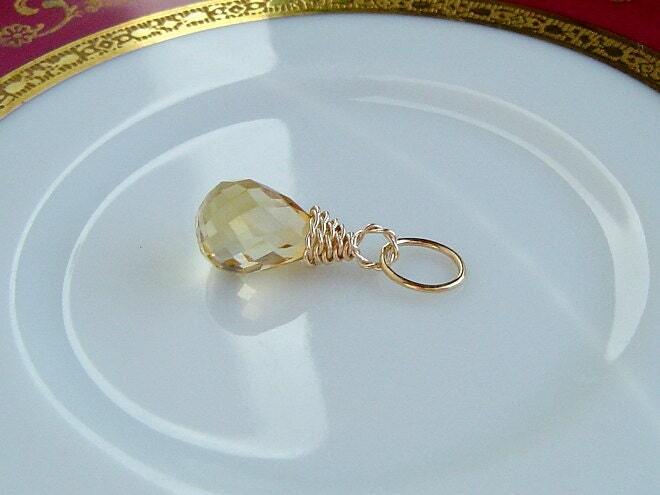 It is finished by a twisted wire cap of 14K Gold Fill and a bail of the same; interior of bail measures 5 x 6mm. Limited Edition Pendant. 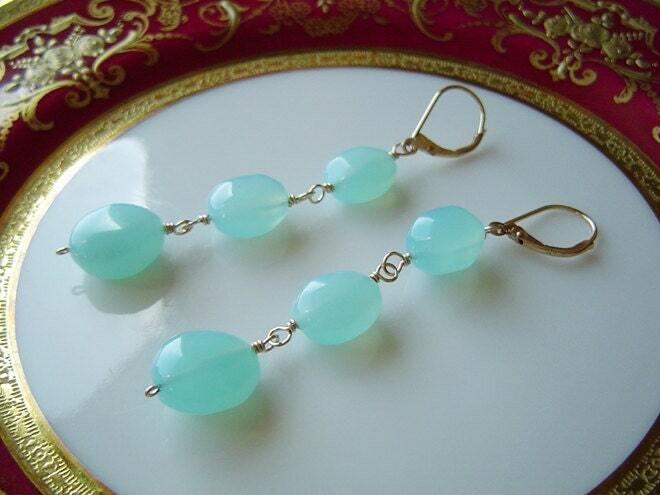 Smooth aqua chalcedony nuggets have been wrapped in 14K Gold Filled wire and hung from leverback earwires of the same. Simple, modern, 3 tier design. 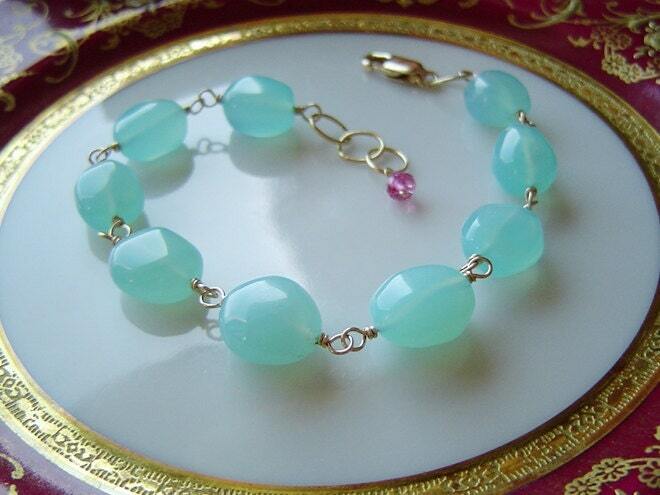 Smooth aqua chalcedony nuggets have been wrapped in 14K Gold Filled wire to create this bold bead chain bracelet. Adjustable with 3 links. 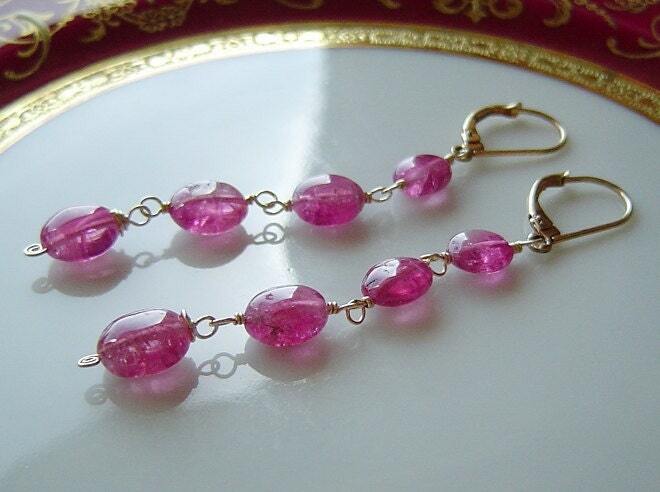 Finished with a AAA Pink Tourmaline rondelle dangle. * Nuggets measure 10-12mm x 9-11mm. 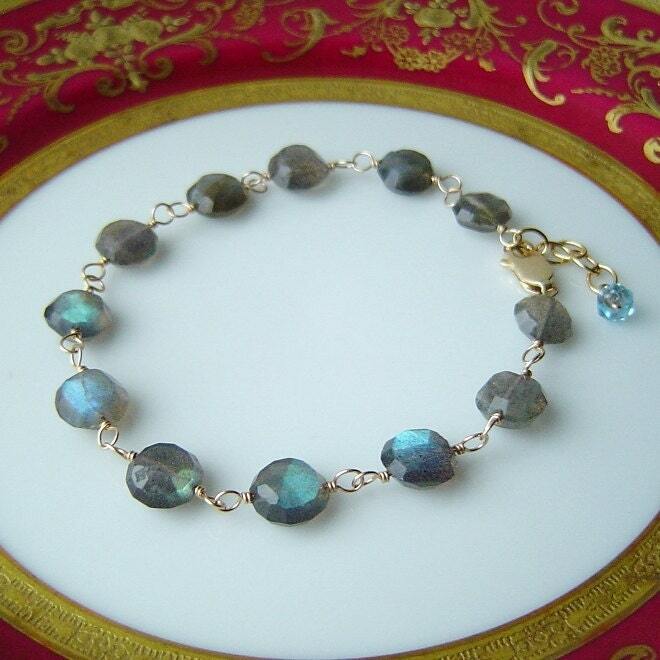 Gorgeous Faceted Labradorite coins have been wrapped in 14K Gold Filled wire to create this rosary style bead chain bracelet. Finished with a AAA Swiss Blue Topaz rondelle dangle.